In a letter to Minister of State in Prime Minister's Office (PMO) Jitendra Singh, Anna Hazare accused the NDA government of making excuses to avoid the appointment of Lokpal at the Centre and Lokayuktas in states. Mumbai: Social activist Anna Hazare said Saturday that he will hold a protest demanding the appointment of Lokpal and Lokayuktas, on January 30, 2019, in Maharashtra’s Ralegan Siddhi. 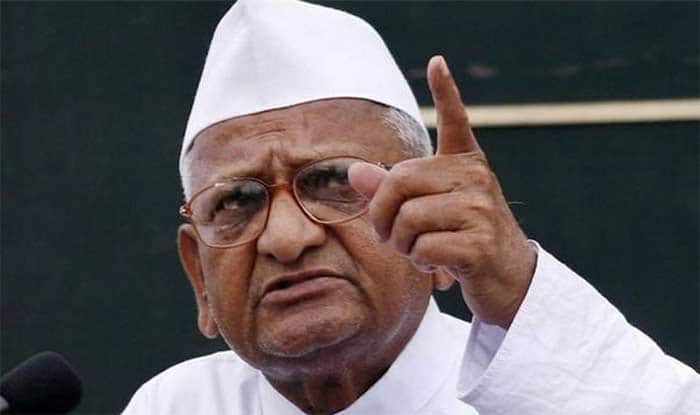 In a letter to Minister of State in Prime Minister’s Office (PMO) Jitendra Singh, Anna Hazare accused the NDA government of making excuses to avoid the appointment of Lokpal at the Centre and Lokayuktas in states. He then set a deadline of October 2, Anna Hazare said. “On October 2, my agitation was to start from my village Ralegan Siddhi, but Maharashtra chief minister and other ministers again assured me that the appointment of Lokpal and Lokayuktas was in a final stage. I decided to give one more chance and wait till January 30,” he wrote. “It is obvious that the present government does not have the intention to appoint Lokpal and Lokayuktas,” he alleged.